My experience suggests that, when a piece of software comes for free, it is ordinarily accompanied by some kind of annoyance factor too. Trial periods, limited functionality or, in the worst examples of budding-user sabotage, the inability to save your work are all tricks that software companies use to lure individuals into buying their product. However, there is one application that breaks this mould, a piece of software that I have found to be of an entirely philanthropic standing while being an exceedingly powerful tool to boot: Adobe Color CC. 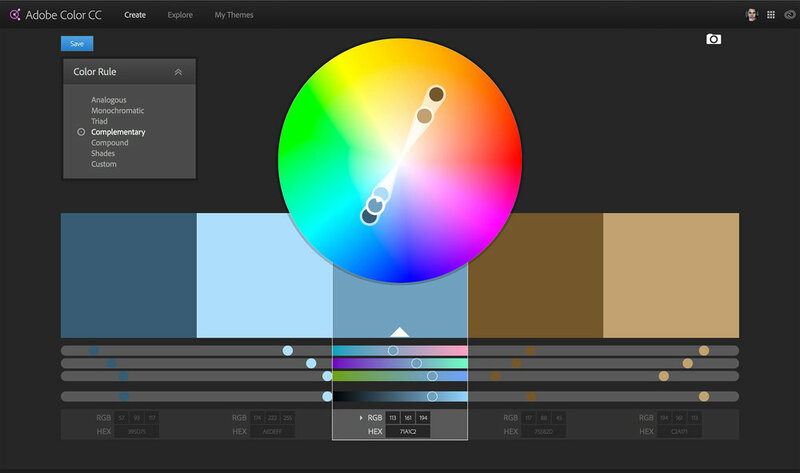 The Adobe Color CC user interface. 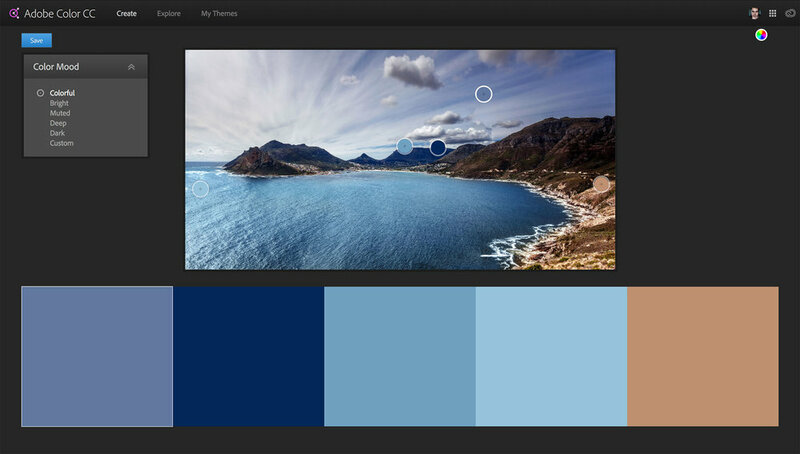 Adobe Color is an entirely free web-based application designed to help creatives, even landscape photographers, in applying colour theory to their work. Colour theory is a set of governing principles that outlines the relationship between various colours, essentially providing a framework that describes which colours look good together and which don’t. Whether you are a graphic designer, painter or someone who spends their time behind the lens, having a sense of which colours work together harmoniously is an indispensable skill. For those of us who were not imbued with this particular skill at birth, though, Adobe Color can help. By default, when Adobe Color is opened users are presented with a colour wheel and atop that wheel, a set of circular handles showing samples of the colours immediately below. The position of these handles relative to one another is dictated by the Color Rule being applied. The software allows users to drag the base-colour handle about (the one marked by a white wedge) while automatically calculating the four associated colours that match the selected Color Rule. 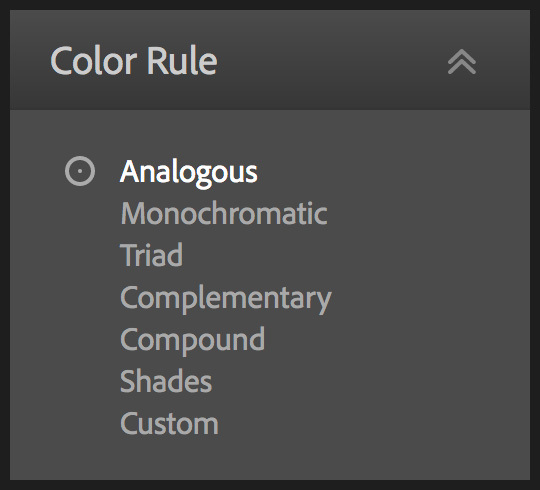 The list of colour rules available in Adobe Color. On its own, the ability to explore the relationship between various hues as well as to experiment with different colour rules is a valuable addition to every photographer’s arsenal; however, Adobe Color goes one step further than being a simple visualisation tool. The program possesses the additional ability to analyse images (photos in the case of photographers) and can suggest colours that it believes would work best together with the sample picture. By clicking on the white camera icon in the top right-hand corner of the screen, users are prompted to select an image for upload. Adobe Color will then examine the uploaded file and pick a small range of suitable colours highlighted once again by circular handles. A photo loaded into Adobe Color. Naturally, there exists more than one single colour combination that will complement a given photo and as such, the program provides users with the option to guide its colour selection algorithm by picking a Color Mood. If, however, you are one of the chosen few blessed with perfect taste, Adobe Color provides you with the facility to unleash your superpowers and to choose a Custom range of colours from the scene. Once you have settled on the colour pallet that best matches the image and your mood, there are two options. If you are an Adobe Creative Cloud member you can save that collection directly into your personal Creative Cloud Library. 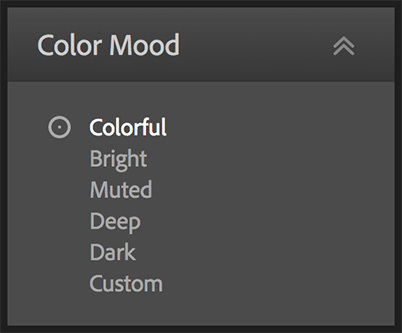 For those who are not Creative Cloud members, and indeed for those who are, the second option is to click on the colour-wheel icon in the top right-hand corner of the screen and the application will automatically transfer the preferred colour pallet back onto the main colour wheel. Personally, I always choose to return to the colour wheel despite being a Creative Cloud member. Doing so allows one to further refine the colours, which, in my case, is often the reason for using the application to begin with. When I am editing landscape photos, it is important to me that my adjustments are leading towards a final image that contains complementary colours. The key to achieving this outcome is to identify the base colour in the photo and to make sure that the secondary colours are, well, complementary. The Adobe Color image analysis tool is a convenient way to identify the dominant base colour in a scene, but to establish the complementary colours requires using the Complementary Color Rule on the colour-wheel page. The Complementary Color Rule applied to the centre colour of the uploaded image. It is worth noting that when transferring the colours form the sample photo onto the colour wheel, any of the five swatches can be selected as the Base Color for the Complementary Color Rule computation. Simply click on the swatch that you would like to use and ensure that the program acknowledges your selection by marking the lucky swatch with a white wedge. I cannot speak highly enough of just how valuable a tool the ability to analyse the colours is. Being able to interpret the existing hues within an image and to determine what colour you would like for them to be in the end, brings a level of intention to the editing process that I have been guilty of ignoring in the past. With that said, though, Adobe Color is not an end in itself. Knowing the colours that you want to accentuate or indeed add to an image is only half the battle; the other half is having the skills to inject those colours with the deft touch necessary to create a realistic and compelling final product. Nevertheless, everybody with an interest in creating images that are more than simply the unabridged product of their camera should have Adobe Color CC bookmarked in their browser, regardless of their photo editing prowess!